Florida Vocational Institute has inked a 30,000-square-foot lease at the Miramar Park of Commerce. The 5 million-square-foot business park is located at 3502-3560 Enterprise Way. The school offers training for students interested in entry-level careers in healthcare and information technology. In addition to the new Miramar campus, FVI also has a 15,700-square-foot facility in Miami and a 750-square-foot facility in Doral. It joins tenants at the Miramar Park of Commerce that include GE, Siemens, Tommy Hilfiger, Neiman Marcus, Humana, Quest Diagnostics and Spirit Airlines, which recently expanded its footprint at the park. The landlord and developer, Sunbeam Properties, was represented by Maridee Bell and Lauren Pace of Sunbeam Properties & Development. Ryan Goggins and Jonathan Kingsley of Colliers International also helped facilitate the deal. Asset management and construction firm Mears Group Inc. will be moving into a 10,000-square-foot warehouse near North Miami Beach in early fall. The company, which operates under the construction giant Quanta Services, just inked a lease at 19051 Northeast Third Court. The 3.5-acre site had been previously occupied by AT&T. 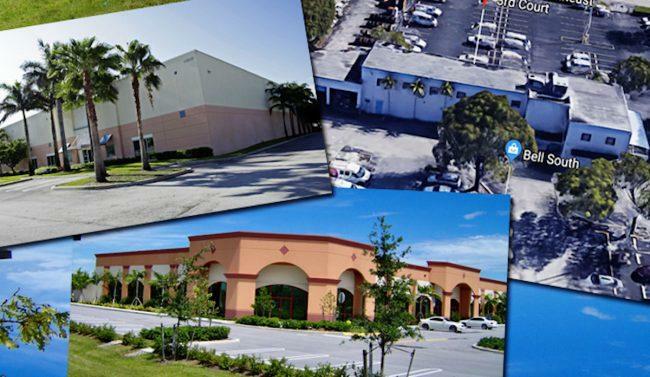 The industrial property was recently purchased by Spring Miami LLC for $3.75 million. Records show the seller, Barr Miller & Gill Partners, bought the property for $184,400 in 1971 — the same year BellSouth — what AT&T had previously been called — signed on as a tenant. Chaim Cahane of Forte Capital Management represented the buyer and helped facilitate the lease negotiations. The tenant was represented by CBRE. PriceSmart Inc., one of the largest operators of membership warehouse clubs in Central America and the Caribbean, just secured 70,470 square feet at Flagler Station Phase II in Medley. Chinese tire manufacturer Chao Yang Tires expanded its distribution center by signing 35,271-square-foot sublease at 10800 Northwest 100th Street. Peter Garcia of SLS Real Estate Partners represented Chao Yang Tires. National portable storage and moving company Zippy Shell signed a 35,200-square-foot sublease at 10801 Northwest 97th Street. Steve Medwin of Newmark Knight Frank represented Zippy Shell. Last year, PriceSmart migrated a majority of its operations to Flagler Station Phase III. The most recent subleases bring the 262,382-square-foot block that PriceSmart listed at Flagler Station Phase II to full occupancy, according to a press release. Transwestern’s Ben Eisenberg, Walter Byrd, Thomas Kresse and Carlos Gaviria represented PriceSmart.